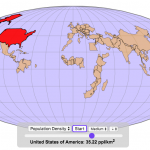 This interactive map shows how population is distributed by latitude or longitude. It animates the creation of a bar graph by shifting population from its location on the map to aggregate population levels by latitude or longitude increments. Each “block” of the bar graph represents 1 million people. Population is highest in the northern hemisphere at 25-26 degrees North latitude and 77-78 degrees East Longitude. It should be relatively explanatory. 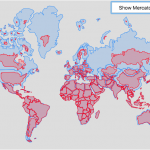 Press the “Aggregate Population by Latitude” button to make a plot of population by line of latitude (i.e. rows of the map). 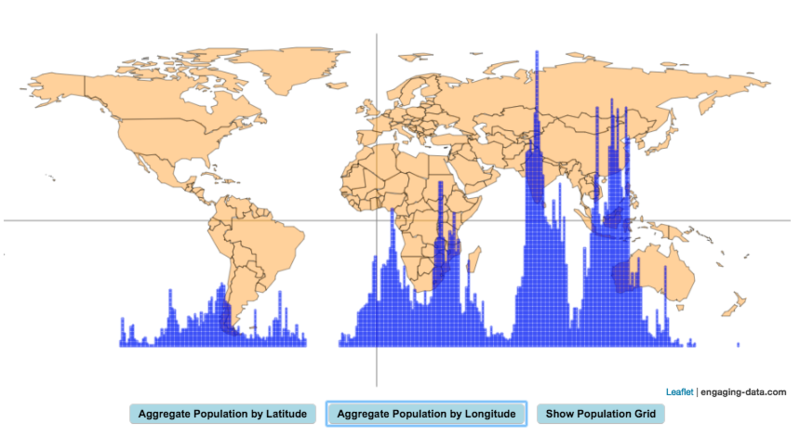 Press the “Aggregate Population by Longitude” button to make a plot of population by line of longitude (i.e. columns of the map). 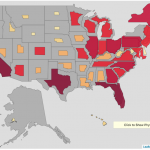 To see the population distributed across the map, press the “Show Population Grid” button. This map was inspired by some mapping work done by neilrkaye on twitter and reddit.